Our favorite funny gal is adding shoe designer to her long résumé: Ellen DeGeneres' brand ED will be launching footwear this spring, in a deal with the Camuto Group. Her footwear line will feature both sneakers and shoes, all reflective of her casual, easy-going look that we're all familiar with and love. Remember when she stepped out on stage with T. Swift rocking some sneakers, while the 1989 star was on stage with sky-high heels? “I am so excited for my brand to partner with the Camuto Group. They say you have to walk a mile in someone else’s shoes to really know how they feel. Well, now you can literally walk a mile in my shoes, or even further if you choose,” DeGeneres said, according to WWD. From what we've seen from her collection so far, filled with everything from t-shirts, to hats, to even cheese knives, it's going to be a preppy-kitschy mix that we can all appreciate. Hello, she has everything from modern ceramic-ware to appetizer plates featuring abstract illustrations of flowers and cats. ED will actually hold a pop-up shop at Bergdorf Goodman on Sept. 10, where her brand will feature home goods on the 7th floor until Sept. 22. There, you can actually get a sneak peek into her new interior decorating book, Home, which will be available for purchase next month, according to WWD. If you can't visit the shop, of course, you can always shop her collection online, though the footwear won't be available until spring at certain department stores and specialty stores, according to WWD. The shoes will come in materials like leather, suede, linen, canvas, and denim. ED by Ellen DeGeneres has certainly been making big moves lately, including debuting a line with GapKids, that's an "exclusive, limited-edition apparel and accessories collection," that includes a campaign that encourages kids to “be themselves, do what makes them happy and take pride in who they are," according to Footwear News. 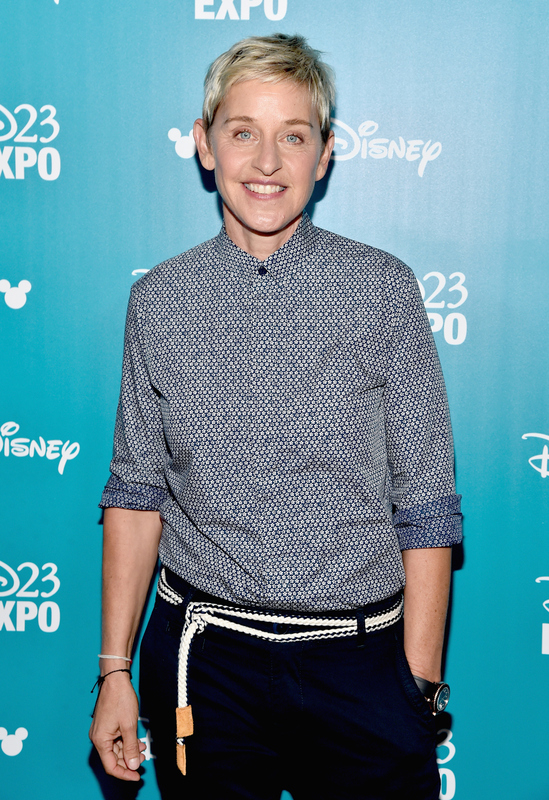 But DeGeneres isn't stopping at footwear. CEO of the Camuto Group tells WWD, “We are focusing on footwear to begin and are open to exploring additional opportunities together as the brand develops.” If it follows the current trajectory of ED's items, we're all in. Check out some of my must-have items from ED by Ellen DeGeneres, below. Why, yes, I would like you to come over and share a cup of lemonade with me. The cutest tee that I'd wear to the office, to brunch, and even to sleep. These beautifully understated bracelets are the perfect addition to any outfit. See this is why I love this brand — not only is everything adorable, but their items have a pretty great message, too. Both functional and just really, really pretty, these coasters are the perfect pop of color for your home.